The Congress and the the BJP engaged in a slugfest on Wednesday after Rahul Gandhi tweeted a photo of former army man Nand Lal to emphasize the hardships people faced after Narendra Modi announced demonetisation last year. 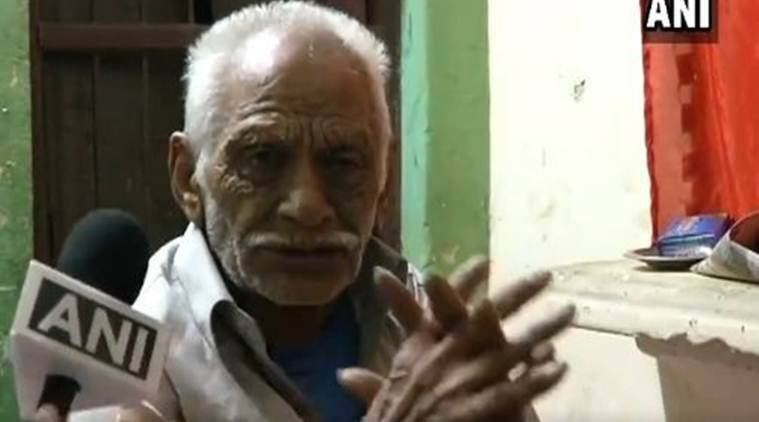 The Hindustan Times picture of the 80-year-old Nand Lal breaking down for not being able to withdraw his pension after waiting for hours at an SBI branch in Gurugram went viral, reflecting the misery of the poor. Lal’s image became synonymous with the long queues outside banks that ensued after demonestisation was announced. However, one year after the note ban exercise, Lal was seeing singing a different tune in an interview with a reporter. When asked about the toil he had to go through because of demonetisation, Lal said he served in the military and dosen’t interfere in government work. The volte face by Lal gave ammo to the BJP to hit back at its critics and especially the Congress. “Rahul Gandhi has tweeted against demonetisation by using a pictire of Nand Lal but he has stated on record that he supports Modiji,” Union Law Minister Ravi Shankar Prasad said on Wednesday.